After a long day of tasting at multiple chateaux in Pauillac, St. Julien and Margaux, the crew had their last meeting of the night Wednesday at Chateau Marquis d’Alesme in Margaux, followed by dinner. The mood of the day was instantly transformed from professional analysis to warm hospitality by estate manager Delphine Kolasa and head winemaker Marjolaine Maurice-de-Coninck. I’ve long held the opinion that most wines reflect the characters of their makers, and this experience certainly held true to the theory. First, a little background on the property. In 2006, the chateau was purchased by Hubert Perrodo, who had already made huge strides in improving their first property (and a long time K&L favorite) Chateau Labegorce in Margaux. Hubert died tragically later that year in a skiing accident, leaving his wife Carrie (a native of Hong Kong) and daughter Nathalie to manage the estate. 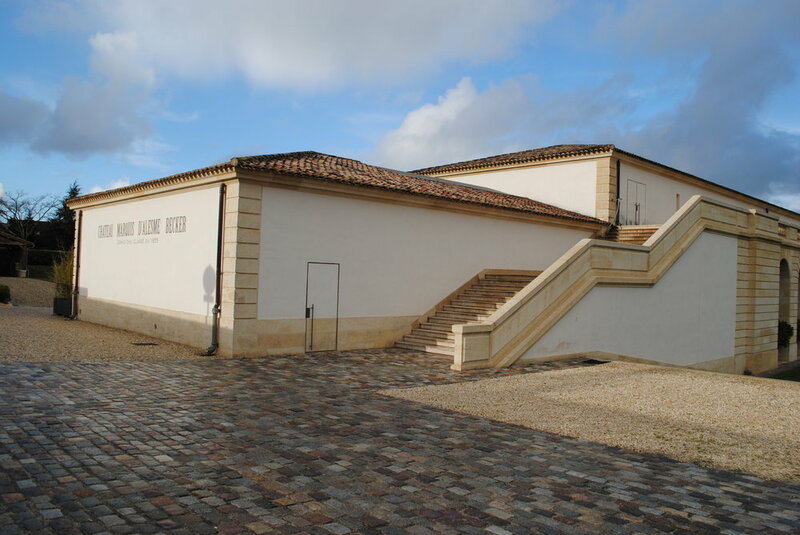 The property underwent serious renovations beginning in 2010 including a complete reconstruction of the winemaking facilities and replanting of all the vineyards, which are parallel to Chateau Margaux. The result is an awe-inspiring facility designed in Taoist fashion. Every detail was meticulously planned and designed to increase the precision and capabilities of the winemakers, and the results speak for themselves in the wines, which stand far and above even their more expensive appellation counterparts. On tasting the 2018, right away I noticed more brightness and expression that many of the other wines of the day. It showed vibrant cherries and red currants with herbal notes, serious structure from the tannins and a long, bright lingering finish. If you want the inside scoop on a delicious wine to stow away and that won’t break the bank, this is it.